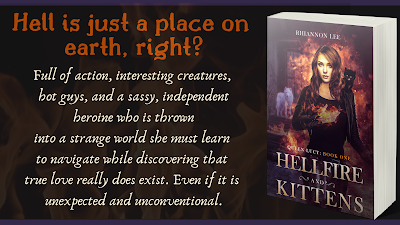 Full of action, interesting creatures, hot guys, and a sassy, independent heroine who is thrown into a strange world she must learn to navigate while discovering that true love really does exist. Even if it is unexpected and unconventional. Hell is just a place on earth, right? For Lucy, this couldn't be any closer to the truth. Stuck working in another dead-end job in another unremarkable city, Lucy’s adapted to life on the run by arming herself with a smokescreen of snarky humor. Sometimes though, her filter-less sasses land her in hot water, especially when it comes to triggering her unruly magic. But, still haunted by the memory of her parents’ deaths, she does her best to scrape by under the radar. Little does she know, however, mysterious forces at work have other plans for her. After a trip to the pound, where a small, scrappy black cat befriends her, a rapid series of events thrusts Lucy—literally—into the complicated world of Hell. Caught up in the politics for the scramble to secure Lucifer’s throne, Lucy’s birthright is challenged when a nefarious plot arises, threatening the stability of not only Hell, but the relationships she's worked to build after years of mistrust. 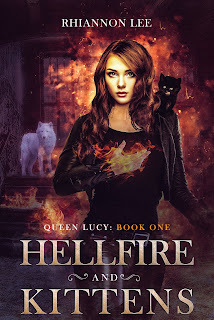 Lucy will need to learn to rely on others and use the help offered to her by an alluring demon and a ragtag team of misfits in order to save Hell before it’s ripped apart by all manners of depraved, ruthless enemies. **This series contains explicit language and adult situations. ***Trigger warning info—This book contains situations of grief and loss.